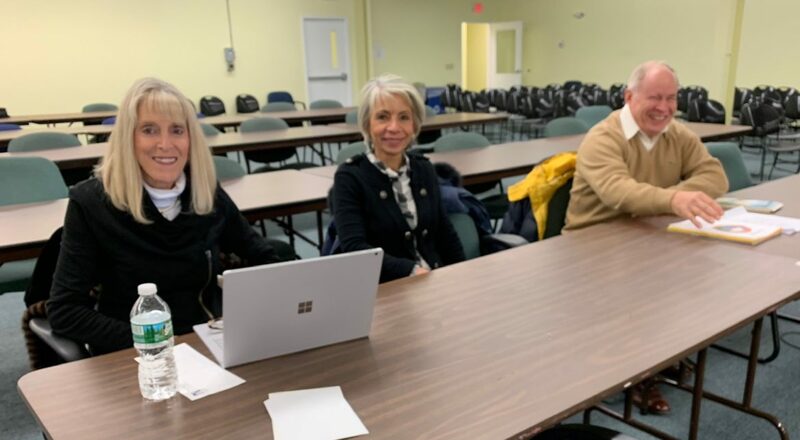 About 10 Durham and Newington citizens attended Thursday's deliberative session for the Seacoast Reliability Project before the Site Evaluation Committee in Concord, including from left Regis Miller, Vivian Miller and Chris Cross, vice chairman of the Newington Planning Board. Sign up for our free weekly newsletter here. Todd Selig, Durham’s Town Administrator, who represents Durham and University of New Hampshire as intervenors, said he was interested in the health and safety discussions. Members of the Site Evaluation Committee and the departments they represent deliberating the Seacoast Reliability Project include: Chairman Patricia Weathersby, public member; Elizabeth H. Muzzey, Division of Historical Resources; David Shulock, Public Utilities Commission; Charles Schmidt, Department of Transportation; Christopher Way, Department of Business and Economic Affairs; Susan Duprey, public member; and Michael Fitzgerald, Department of Environmental Services.